This is the introduction to the film 'Contact.' I remember the first time I saw this I was blown away by the sheer size of the known universe. 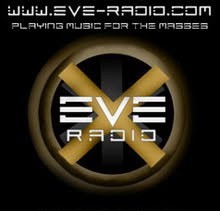 EvE's collection of 5000 systems seems like a pinprick in regards to the scale of reality. I must remind myself to blink everytime I watch it. This is the much anticipated sequel to Clear Skies. Two years ago while living on the outer edges of the known galaxy I was enrolled within a Corporation called ‘Life-X.’ This corporation was primarily a pirate organisation whose mandate was to grief the local populace and rob unwary travellers of their possessions. We had our own alliance and all of us had good times. All good things must come to and end and eventually our pickings had become a little thin so a discussion was held as to the alliances future in the area. It was decided that we should re-locate to a new patch where we could re-affirm our authority upon the fresh local populace. 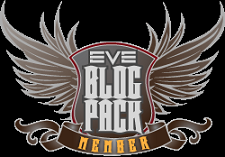 The alliance did not own a single POS so they were able to move around New Eden with ease. 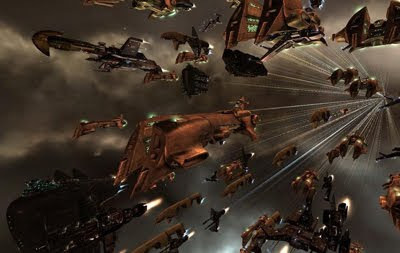 After some recon and intelligence missions a new area was decided upon and a major fleet operation was undertaken to move the entire alliance in one convoy. The operation involved more than 80 battleships, all armed to the teeth and ready to obliterate anything which stood in it’s way. Our pilots felt invincible but little did we know that this would be the last time we would feel so superior. After a delay the FC finally gave the order to proceed and as we got underway the ‘intel’ frigate was reported to our squad commander whom thought nothing of it. Soon enough our fleet swelled to almost 80 ships as the alliance converged. It was a well organised convoy, the fleet commander was in control and had us jumping through each gate with perfect synchronisation. “Jump on contact” came the static voice from the FC. In each system the gates jump drives activated and propelled our atoms into the next system with precision. “Excuse me sir but we have lost a small group of ships, they’ve managed to drop behind somehow?” Came a concerned voice of a fleet member. It was unclear as to why this had happened but the FC was not interested in waiting. 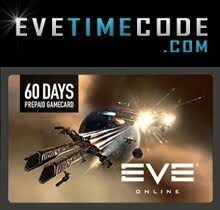 We soon had reports that the stragglers had been engaged by hostile forces and needed assistance but as we were now deep into null sec it was decided that our primary goal still stood, to get to the new base of operations as quickly as possible. Little did we know that our journey would come to an abrupt end, and very soon. 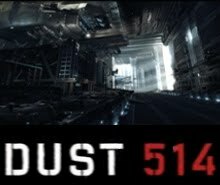 As the FC gave the orders to jump into each new system, the intel reported no issues ahead until, all of a sudden he became excited by what he saw ahead through the next gate. The fleet jumped once again and upon materialising in the system scanned for the carrier. “He’s not here?” said my Squad commander. “I’ve lost contact with our intel?” said the FC. The covert ops ship had dropped from the fleet. It was unclear as to what had happened but we could not see the carrier or any other locals in the area except for one pilot. “Hey, what’s that?” asked one of the pilots. He’d gotten his eyes on something in the distance. Our camera drones swung round to the area of space he was indicating and focused on a shadow. I’d never seen a ship such as this before but even at a range of 100 km it was huge. It’s surfaces did not show much detail to give away it’s identity. I zoomed in my lens to try to decipher the image. In a moment I realised with horror at what I was looking at. It was an Erebus class Titan. No orders were given and the fleet sat motionless, the FC unable to speak. The seconds of silence seemed to last minutes until suddenly they were shattered by a huge flash. In an instant the entire fleet evaporated into dust. The fleet had just been obliterated by a Doomsday. Moments later I found myself within my POD, bewildered at what had just happened. However there was no time to ponder as a score of hostile interceptors descended on our position and started to attack our defenceless fleet of PODs. It was ugly, pilots were being murdered by the second and the command structure fell apart instantly. Some orders were given to head back to the gate, others were given to flee in any direction. I quickly picked an astronomical body and initiated my warp drive. As I hurtled toward the planet I could hear the screams of my fellow alliance members as they were hunted down by the fleet of interceptors. Arriving at the planet I selected the gate again and headed back. My POD decelerated upon the gate and I could see bodies everywhere, floating frozen in the darkness. The fleet of interceptors were picking through the wrecks of our fleet, scooping up flesh as well as parts, I guess to keep as trophies. I jumped my POD on contact with the gate and was flung back toward the previous system. I materialised on the other side only to find myself within a huge warp disruption sphere. Damn-it I thought. 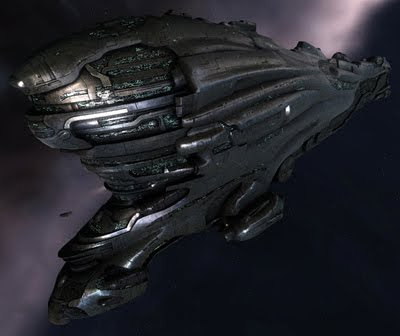 I was locked by several ships, my fragile hull decompressed from a barrage of enemy fire and I felt a flash of pain as my body was flung into space. My eyes froze almost immediately and my last sense was seeing the silhouette of a hundred ships descending on the gate ready to claim their share of the spoils. When I was a young boy just breaking my teens and discovering computers and games I came upon a game called Elite. Set in space within a galaxy where anything is possible you could bounty hunt, trade with aliens, build space ships. At first I was not that taken with it. I must've restarted the game over 20 times until I finally docked my ship without pranging it against the station walls. Until, in my later teens Frontier: Elite 2 was released for the Atari ST and the Commodore Amiga 500. My parents had just bought the Amiga, our first family computer (which quickly became MY computer) and I saved and spent my pocket money on the sequel hailed as the second coming. I got lost in this game for years. I became very efficient at killing and collecting bounties, using my ships superior military drive to overtake targets in hyper-drive and waiting for them at their exit. Bang, they always died and I got rich. 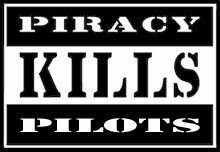 I quickly became a legend and eventually achieved the elite pilot status, one of my greatest achievements (sad I know). I used to love dog-fighting in the upper atmosphere against the Viper police and using gravity to slingshot my ship around white dwarf stars. The awesome-ness of sitting on the red planet Sirrocco and seeing it’s sister planet, a huge ringed gas giant slowly rise above the horizon was a sight not unlike the eclipse in the movie Pitch Black. Flying my nimble ship between the massive cargo ships or flying out to the farthest point of a solar system to catch freighters jumping in from other systems. This game was a blast. In my virtual retirement I became quite a solid miner and could land a 10000 tonne Panther on a moon to harvest it’s precious minerals. One fateful day I was looking at the immense star map and decided to take a long journey into the unknown. At a distance of 70,000 light years I set a destination. I knew I could scoop hydrogen from gas giants to be used as fuel and I took a supply of food and water. Unfortunately my crew and I never returned, 2 years into the journey my hyper-drive malfunctioned and I was left out of fuel, between stars in deep space with no chance of return. I was lost to the void. 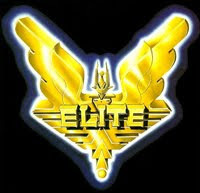 If you have never played Elite then you are missing the one of the best retro gaming experiences available. 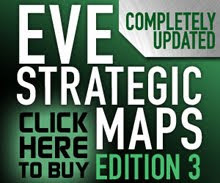 EVE Online is Elites spiritual successor (Until David Braben finally releases Elite IV) and Frontier is in my opinion still a greater game than EVE Online. Sure it has its faults (only 1 ship could be owned and it was not online at all which eventually made it become a little stale) but I have never been so absorbed by a game before or since. 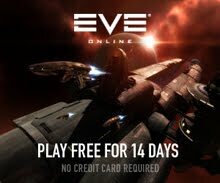 I can only prey that either EVE Online wakes up to the fact that, erm, it’s set in space or Braben finally releases what is expected to become his legacy, Elite IV. Our tour of duty has been terminated. 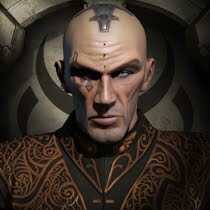 My corporation has been withdrawn from the Amarr Militia and all equipment and supplies have been hauled via contract back into Sarum Prime. In addition to this all members have been asked to re-join The I-A as their PVP division needs bolstering with experienced pilots. Reflecting on our time within the militia it was a great experience and one which I am sure to repeat in the future. The militia has been left in much the same state as it was left. We saw our territory gradually increase into the enemies but progress became slow as the enemies concentration thickened. My squad was charged with getting behind the enemies lines and disrupting their supply lines, a job which initially was quite dull but a few large scale encounters kept our appetites whetted. Our next tour is sure to be one of mass destruction as my skills are now hitting a level where Dreadnoughts are immediately plausible if a little expensive but it does mean that all tertiary skills are maxed. I too will eventually be re-joining The I-A but for the moment I am happy to remain one of three surviving members of my former militia squad. Myself, B13 and a younger recruit XA. Besides we have a new mission, to set-up a wormhole POS. Since I came upon the idea I have spoken to my closest allies and a plan of action has been put into place. The retraction from the militia is the first step, downsizing the corporation another and the sale of all bounties and hardware within the core systems will help fund the purchasing of the necessary components such as POS fuel, haulers,and equipment necessary for this deployment. The task at hand is greater than anticipated and will require that we three work around the clock for the next few weeks. It has been decided that the POS is to have no weapons but instead to bolster the shield as much as possible. We are looking to deploy a small POS for the moment to minimise the amount of fuel required to maintain the tower until such time we can decide whether the running costs outweigh the benefits. It is a brave new frontier for us and a great challenge. The logistics involved in dragging the massive tonnage through a wormhole without it collapsing is a real effort but one which we are glad to undertake.